« What Has Happened to Sports Stars? 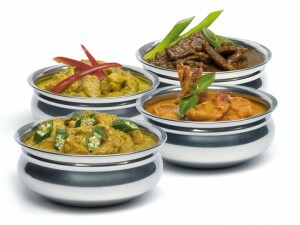 New to the UK is the most amazing range of curry sauces that are like nothing you will have ever tasted before. Kumar’s curry sauces and bumbu’s will give you the true taste of South Asian cuisine in convenient ready-to-use pots that are now available in the UK for home delivery. “Bumbu” is the Indonesian word for spice or seasoning. Bumbu commonly appears in the names of spice mixtures, sauces and seasoning pastes from countries within Southern Asia. Kumar’s range of 13 fresh curry sauces and bumbu’s take you right back to the literal “roots” of many familiar sounding, and some less well-known curry dishes, originating from southern India, Thailand and Indonesia. The curries and bumbu’s eaten by the people of Southern Asia are typically a much dryer dish than the anglicised versions of curry we are familiar with in the UK and these authentic dishes also contain many fresh ingredients that simply cannot be bought locally over here. For those who want a more authentic taste experience, help is at hand from Suresh Kumar who is a talented Malaysian chef working for the Verstegen food group. Suresh knows nothing about the fake anglicised curries the British have suffered over the years. He bases his recipes purely on his own knowledge of ingredients from Southern Asia which he combines with the expertise necessary to carefully blend and balance the many complex flavours contained within every Kumar’s sauce and bumbu paste. These ready-to-use sauces are very thick and paste-like when you first open the pots. Kumar’s sauces are not runny or full of oil like those that we have become accustomed to using. Preparing a curry at home couldn’t be simpler with the help of Suresh’s delicious and easy-to-use sauces. Just add the entire pot of sauce to 500g of seared meat, fish or vegetables, stir well, and simmer. You can always add a little water to the sauce to thin out the consistency or add plain yoghurt if you want a milder flavour. Kumar’s sauces are nothing like the sickly sweet, creamy, violently coloured, flavour enhanced imposters being sold under the name of curry sauces in Britain today. Be warned that your palate could be pleasantly surprised by the unfamiliar spicy sensations you experience the first time you taste the curries, especially with the ones you think you are already familiar with. The Kumar range includes Korma, Madras, Tikka Masala and Vindaloo sauces as well as some special Indonesian varieties and they are all available for home delivery. Making the effort to cook with the more unfamiliar sauces from Indonesia is highly recommended for a new taste sensation. Use Kumar’s Rendang Sauce to make a classic Indonesian Beef Rendang curry . Chicken goes very well with Kumar’s Bumbu Bali Sauce. Slow-cooked pork is delicious cooked in Kumar’s Babi Ketjap Sauce. For a tasty duck curry, use Kumar’s Besengek Sauce to make an authentic Indonesian dish known as Bebek Besengek. Suresh Kumar shares his great passion for south Asian cuisine with a growing customer following here in the UK. His aim is to blend inspiration, generations of knowledge and fresh ingredients together in perfect balance, leading you to new experiences, lasting memories and most importantly, flavoursome authentic South East Asian cooking that you will truly love to prepare and enjoy with friends and family for many years to come. Kumar’s sauces are available by mail order from Verstegen Direct. Each 350g tub costs £3.99 plus P&P. Check out their website today for the special introductory offer of any 6 varieties from the Kumar’s range for only £19.98 with free UK delivery. Tagged curry, indian, indonesian, mail order, thai. Bookmark the permalink. I was at the Chilford Food Fair and picked up the rendang sauce. It tasted fantastic and was so easy to use. Definitely gonna buy some more sauces on Kumar’s website. Thanks for this review! I also bought some of these at Feast East earlier in the year, but only got round to eating them recently! I tried the red Thai curry, Besengek (?) and Vindaloo. I like to think I’m a bit of a curry expert….and I have to say these were something else and not what I was expecting at all. At £3.99 I thought they were a bit pricey at first, but wait until you taste them….worth every penny and then some! Plan to stock up again soon! I have seen these sauces/pastes at various ‘food exhibitions’ and would recommend to anyone wanting to experience something truly authentic (for a change!). Open your minds to something new and try, try, try!